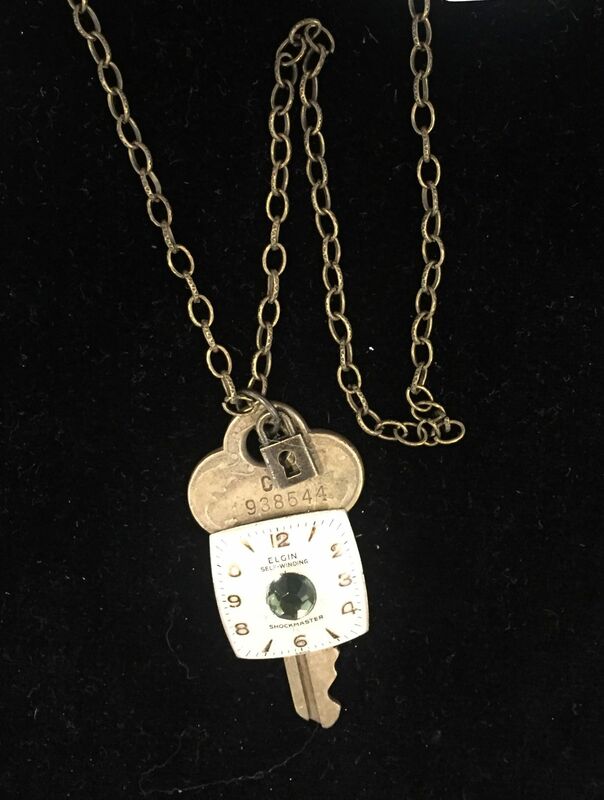 Necklace with key and small lock pendant. 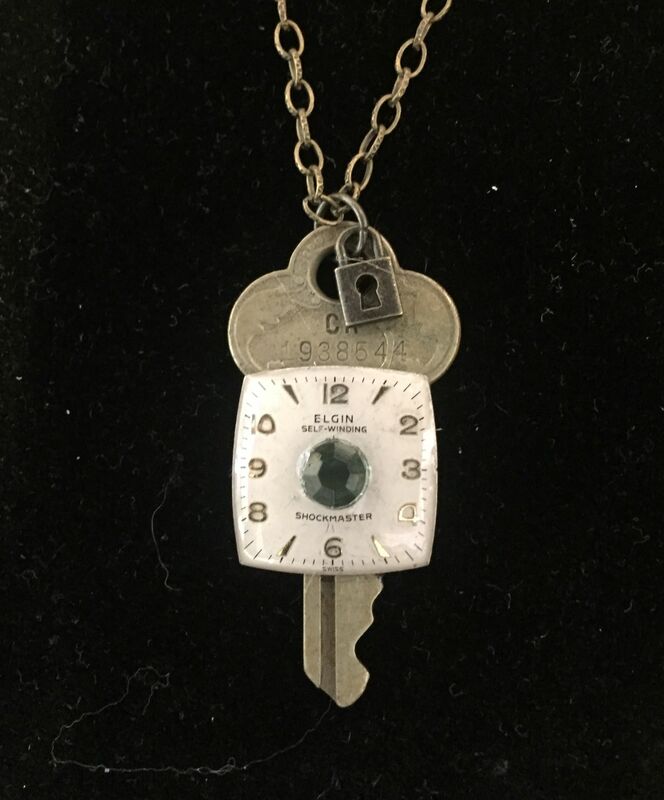 Genuine Elgin watch face with green stone in the middle. Chain is brass in color and measures approximately 30 inches with a lobster claw clasp. Key measures 2 inches. Designed and created by Elgin artist, Mary Pierce of Soulful Sparrow.